A HARP Loan Can Keep Your Mortgage Afloat! I Want My HARP Loan Quote! The Home Affordable Refinance Program (HARP) is a federal program of the United States, set up by the Federal Housing Finance Agency in March 2009, to help underwater and near-underwater homeowners refinance their mortgages. We’re here to make the HARP loan process a whole lot easier, with tools and expertise that will help guide you along the way, starting with our HARP Loan Qualifier. We’ll help you clearly see differences between HARP loan options, allowing you to choose the right one for you. If you’re underwater on your conforming, conventional mortgage, you may be eligible to refinance without paying down principal, and without having to pay mortgage insurance. Get Your HARP Loan Quote! Hi, my name is Russell Kesterson. I'm a Senior Loan Officer with Movement Mortgage, offering personalized mortgage solutions, fast customized quotes, great rates, & service with integrity. VA-MLO-6641VA, FL-LO23968, MD-26-36524, IL-31.0052243, CA-DBO324120 | Movement Mortgage, LLC supports Equal Housing Opportunity. NMLS ID# 39179 (www.nmlsconsumeraccess.org) | 877-314-1499. Movement Mortgage, LLC is licensed by VA # MC-5112, FL # MLD200 & MLD1360, MD # 19094, "Illinois Residential Mortgage Licensee" # MB.6760898, “CA Department of Business Oversight under the California Residential Mortgage Lending Act” # 4131054. Interest rates and products are subject to change without notice and may or may not be available at the time of loan commitment or lock-in. 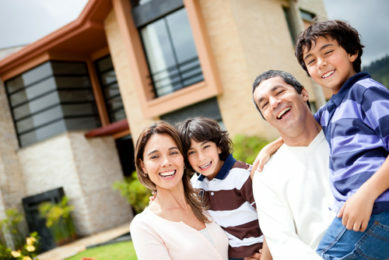 Borrowers must qualify at closing for all benefits. “Movement Mortgage” is a registered trademark of the Movement Mortgage, LLC, a Delaware limited liability company. 8024 Calvin Hall Rd, Indian Land, SC 29707.